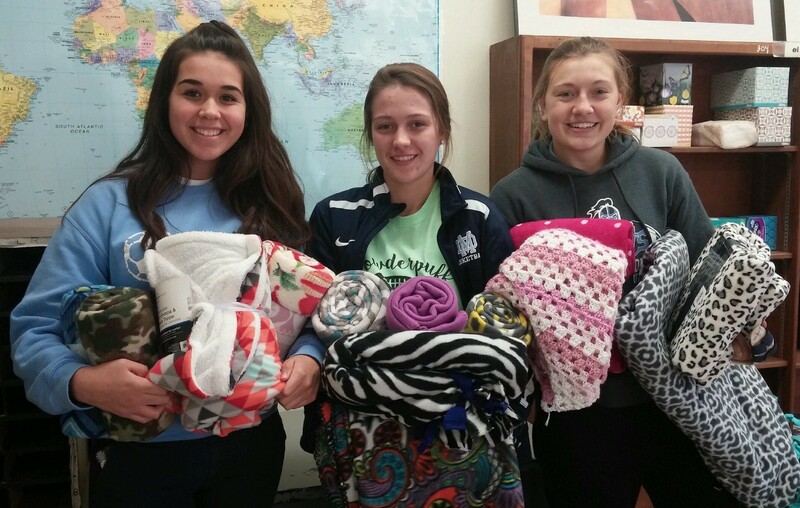 (from left) Erika Ortiz, Allison Beckmann and Quinn Cutler are pictured with blankets donated to the Spanish Club’s #SPREADTHEWARMTH blanket drive. The blankets will be donated to Highland Area Food Pantry, Relevant Pregnancy Options Center, local nursing homes and a local men’s homeless shelter. We thank our Spanish Club members and moderator Mrs. Andrea Bodinet for hosting the collection.